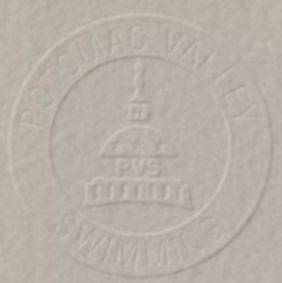 ELIGIBILITY: Open to all Potomac Valley athletes 13 and over with 2005-08 NAG 15-16 "A" times. Age on October 12, 2007 will determine age for the entire meet. Swimmers who qualify for 2 events are eligible to swim additional events up to the meet entry limit. Please mark bonus events as such when submitting your entries. OFFICIALS: All certified officials wishing to volunteer to work this meet please contact Dave Diehl at ddiehl@umd.edu prior to October 2nd. Please include your club affiliation, certifications held, and sessions you wish to work. Officials assigned to this meet should sign in at the recording table at the start of the Warm-up. Certified officials, who have not been contacted, should volunteer their services to the Referee. ENTRIES: Club entries will be accepted by email. Submission of entries by email must include the following files: the Hy-Tek Commlink II file, The Team Manager Meet Entry Report files (one by SWIMMER and one by EVENT). The name and phone number of the Club representative submitting the email must be included. INDIVIDUAL OR UNATTACHED ENTRIES WILL ONLY BE ACCEPTED BY delivery to the Post Office Box address below and will not be accepted by e-mail, unless those swimmers are training with a club and that club is submitting their entries in the required above Hy-Tek format. Clubs submitting by email may submit entries to jschroed@umd.edu, in the subject heading type, "UMD Red & Black Invitational - ****" with the club's initials substituted in place of the asterisks. NO DECK ENTRIES. Optional: Before preparing your entries, events for this meet can be downloaded and imported into Team Manager. The meet events file can be found at "03mm101207.zip" . NO LATER THAN 5:00 PM, Tuesday, October 2nd.